Venerable Gyalten Sengye (Zac), was first to exposed to Buddhism at 21, and has been studying and practicing ever since. 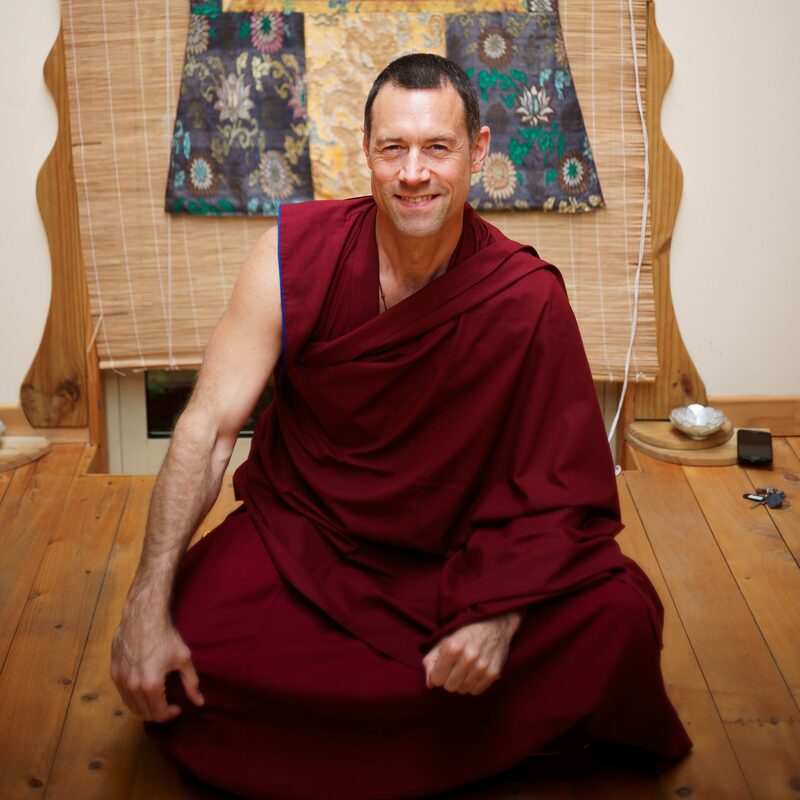 Sengye belongs to the Gelug Tradition of Tibetan Buddhism and has recently set up the Awakening Vajra Centre for healing here at KP, One of 8 Centers around the world. He took ordination with his teacher and Guru, the Great Tibetan Buddhist Yogi and Scholar, His Eminence Choden Rinpoche and his following his heart Disciple Geshe Gyalten in running the Center for Healing here in Auckland. Sengye leads a number of classes and courses on Meditation, Buddha Dharma and Discussion Groups, on a wide range of topics to open our Hearts to Love, Compassion and Wisdom. The classes encompass the teaching of the Buddha, whilst embracing ways of living and being holistic change and wellness both individually and collectively through Meditation, Study, Creativity and Complimentary Healing. He is particularly interested in bringing down the boundaries between different traditions and religions, opening dialogue to help facilitate change. Sengye leads various types of meditations, some focused on bring awareness to the breath, others observing mind and emotions, some meditations looking at what is the “I”?. There will also be the opportunity to learn about and to practice various Mantras, very powerful in removing obstacles and also can be beneficial for healing. Open to all. The course will cover 5 main topics – 2 weeks being spent on each topic – over the 10 week period (attend any or all sessions) and will offer key insights into understanding the nature of the mind. Questions like why we experience such an array of emotions? Why do we exist in a human body? then combine meditations to start to get first-hand experience into how the mind works and analyze the how and why in more detail. Cost: Suggested contribution – $75 for the whole course – Please however let Sengye know if money is an obstacle. He welcomes all to attend, and doesn’t want money to be an issue. Sengye leads ongoing Dharma Teaching groups. These classes are for all who are interested in Buddha Dharma and wanting to engage on the path of transformation. There will be various teachings and topics, relating to Karma and the Universal Law of Causes and Effect, The Six Perfections, Samsara, and that we all have the potential for full enlightenment, within us right now.